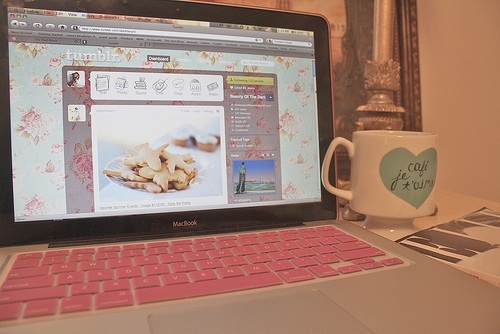 Popular blogs like Style Scrapbook, the Daybook and Rockstar Diaries, post either on a daily basis or on certain days. It seems almost impossible to manage school work, internships, jobs and posting. The last thing you want is to complete a post that you spent hours on, and have nobody read it. It’s hard to stay on top of everything, so having a blogging 101 list will make blogging one less thing to worry about. The first thing you should consider when blogging is what platform are you comfortable with tech and aesthetics wise. If you are interested in the details and the assortment of templates like WordPress offers, use WordPress. If you like Blogger and how easy it is to start off with and understand, use Blogger. It’s all up to you. Something to keep in mind is that Blogger is with Google, and if you have a Gmail account, you can easily set up Blogger. Growing up with the development of social media, people tend to expect more than just text. It’s not enough to just have words and one picture. In some cases one picture is all a blog needs, but it depends on the topic. Having pictures brightens up your post, and it allows the reader to glance at something that is on your blog, instead of moving to Facebook or another blog. Try to have at least two images, one around the top of the post and one at the bottom. This way readers can be drawn in when they are scrolling down the home page. By embedding videos into your blog, you allow readers to learn more about a topic and also assure that they will stay on your blog. Whether it is Blogger or WordPress, YouTube makes it easy to embed video into blogs. To do so, click on the share button located under the video. Then click share, click on the “embed” button, then copy the link. If using WordPress, just copy it into the “New Post” area. If using Blogger, click on the video tab and click “Embed Video.” It’s really very simple. The video itself doesn’t have to be of you; however, if you do a fashion blog you can post about putting an outfit together, learning a new “do” or how to achieve the smokey eyes look. If you are talking about a movie, add the trailer. Just remember to add where you got the video from in your post. An interesting video on blogging to check out is of Andy Torres from Style Scrapbook who did a TEDTalk early in 2011. If talking about a website that sells great shoes, or if you read an article that inspired the post, adding a link allows your readers to learn more and be informed. When adding a link, it looks much more professional to not show the entire hyperlink. Try adding it into a sentence, such as: “After reading this article on how to make this recipe from College Gloss, I knew I had to try it for myself.” Showing the full link looks amateur and messier. Think of all the social media outlets you consume. You may not want random people to land on your Facebook page, but you do want your Facebook friends to follow your blog. This is the same with Twitter. Sharing your links mean more people can view your blog. There is also a way to connect your WordPress with both Facebook and Twitter, giving a link to your new posts automatically. If you begin to find that more people outside of your social media networks are viewing your page, you might want to create your own Facebook page for your blog. Readers will then know when a new post is up. Pinterest is also another site that has been growing in popularity. Why not make a Pinterest devoted to your blog? Have a travel one, or a fashion one. Many blogs have a focus, and that is what draws people in. When thinking about your favorite blogs, they most likely have a common theme throughout them. This is not to say that a successful blog cannot have multiple focuses, it just means that people will tune in for fashion, travel, recipes, etc. if they know they can rely on you to talk about that. If running a travel blog and you want to talk about fashion, you can easily make a post on “comfortable things to wear on a flight” or something of that nature. This will allow your readers to come back for more advice on travel fashion, but still know your focus is travel. The ability to make your blog as colorful as possible is great. However, having wild patterns and colors can sometimes be too much. Between WordPress and Blogger, there are thousands of options to choose from. Having a fun background isn’t necessarily bad, however, you want to make sure that your followers can read what you wrote. Try to keep the font simple, and go with simple colors. In both WordPress and Blogger, there is an option to change the header to whatever you want. Most blogs give the dimensions for a header where you can design a logo in Photoshop and insert it. This customizes your blog and makes it stand out! To get your voice heard, it’s important to add tags to your posts. What are tags? Tags are key words that describe what you are talking about. An example would be a post about traveling around Rome would use tags like “Rome,” “travel,” “train travel,” “Italy,” etc. Using tags allows your post to pop up when someone searches for these topics on Google or your blogging site. When you add more tags, the readers will increase. This is probably the most important thing. You want to keep your audience. Make sure to post constantly. If you aren’t going to post everyday, then post consistently. HubSpot posted an info-graphic on the best times to post, going into detail what times are best. The best time is said to be in the morning, as the majority of people like to check their websites during the morning time. If you don’t want to wake up early, there are options where you can set what time you want your post to go out. Hopefully these tips will help you gain more followers on your existing blog or lead you in the right direction in starting your first blog! Good luck, bloggers! I never thought of using Blogger! I have a wordpress blog so I may stick with that!